On our just finished photo safari to Botswana, we were treated to the delightful sighting of a pair of 5-week-old lion cubs – seen up close for the first time – just learning to romp, and to interact with other lions. 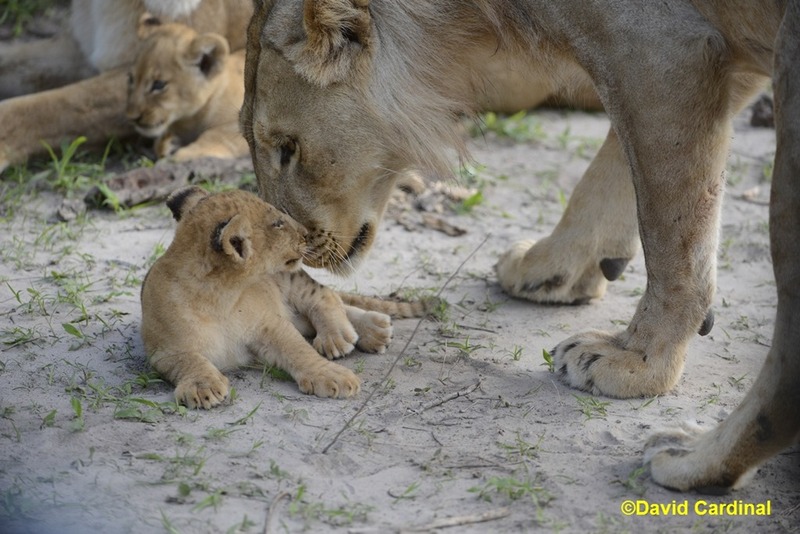 As you can see from this photo, one of the cubs was still a little long on curiosity and short on manners. 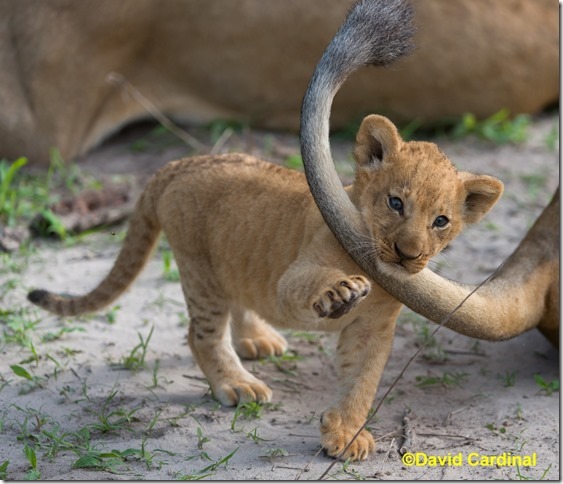 Tiring of playing with sticks, he noticed the twitching tail of a much larger sub-adult male nearby, and decided to give it a go…. 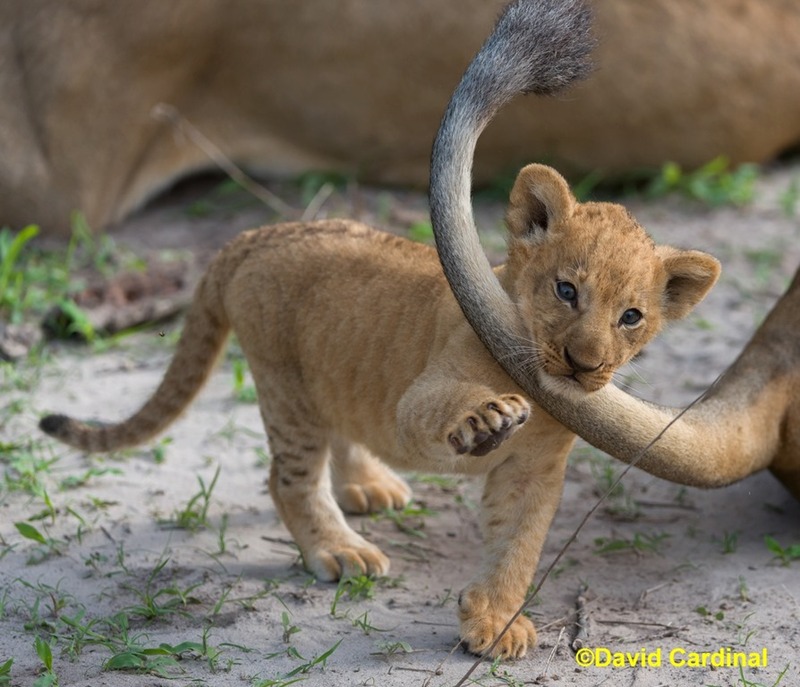 Not thrilled with having his tail chomped – even by the tiny bite of a cub – the larger male turned to teach the cub some manners. The cub’s mother, though, was having none of it. A quick move and a snarl from her and the young male sulked back to his napping spot. Sometimes it’s not what you know, but who you know, that is important!